Janelle In Real Life: living and learning. Remember how I told you guys that I couldn't stop wearing this gold arrowhead necklace from Waffles & Honey? It's so gorgeous, and I'm dying for a few more of their necklaces for layering (but I'm holding out for Christmas). 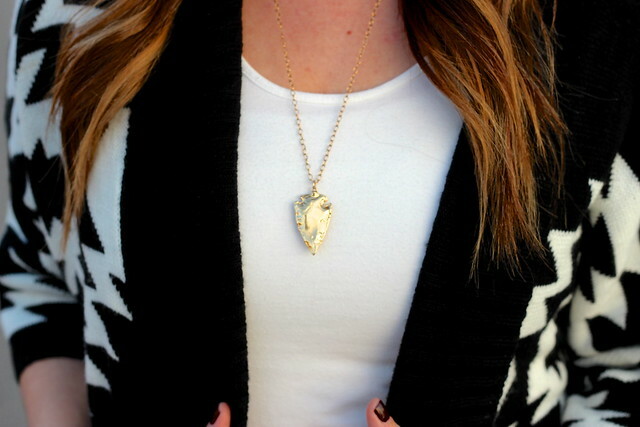 And don't forget about the giveaway that's going on where you can win this gold arrowhead necklace! Click HERE to enter. 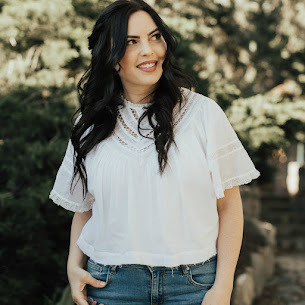 Do you guys ever have issues with getting a little clothes shopping crazy? I am legitimately a reformed shopaholic and every once in a while I slip, just like any addict. Last month I exceeded my clothing budget. I excused myself by saying, hey, I just won some giveaway cash so I don't really have to pay attention to how much I'm spending on myself this month! I didn't go craaazy over budget, but it still made me feel really guilty to see how much I'd actually spent. So this month I won't be spending money on myself (unless it's a necessary thing). It's the season of giving and I'd rather focus my efforts on others and recover a little from my overspending. I'd rather put extra cash from things like giveaways, or gifts toward something better and more important. I did, however, buy my son a good portion of his winter clothing wardrobe. Yesterday it snowed ALL DAY and there was about a foot of snow on the ground. It was also ridiculously cold and I realized that my child has NO winter clothes! I had gotten so used to having the weather in the 50's and I just had to dress him in a long sleeved shirt and a light jacket. So Carson and I are pretty much home bound until the weather clears up a little or his new clothes come in the mail. Am I the most horrible mom ever for not being prepared for this?! Oh well, you live and you learn, right? Gorgeous sweater! Love the cut and the pattern. I love your Aztec sweater! Stop by to see how I am wearing my Fox Sweater, today. I love this whole look - so cute and cozy! Definitely making me want to pull my moccasins back out!